Update 5/5: The deal is live! 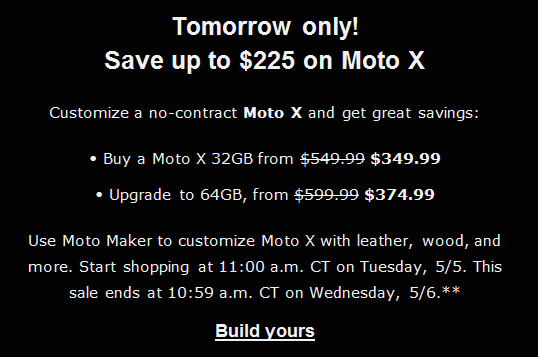 According to a tweet from Motorola’s official Twitter account, if anyone was planning on picking up a Moto X tomorrow, they can save up to $225 and get a memory upgrade straight through their site. 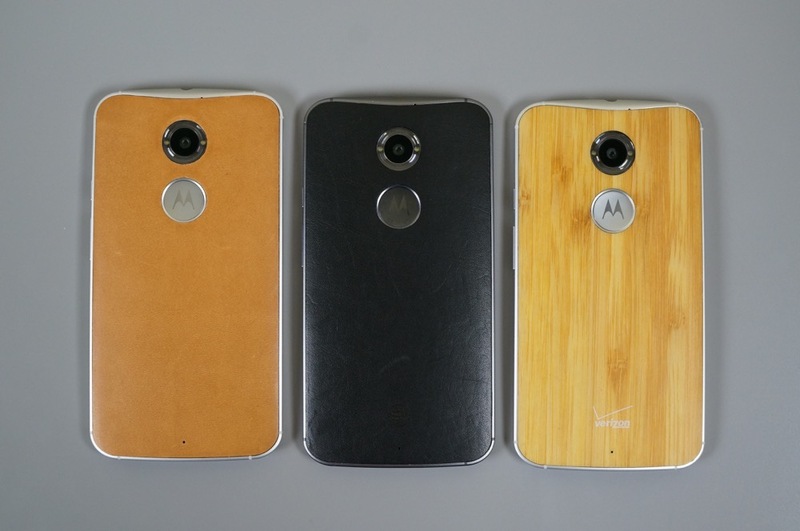 Unfortunately, Moto doesn’t exactly post or link to details on what they are offering. It could be a percentage off of the device’s final price, as well as a price cut on memory. Or possibly free material upgrades to leather backs and memory upgrades, which could amount to $225? We just don’t know yet. Tomorrow, when the deal goes live on their site, we shall break it down for everyone to make sure you can all take advantage of it if you want a Moto X.
Update: So, we got the details thanks to reader Jon D. It is as follows. Tempted to see what Moto has going on?